This frilly fancy has certainly taken our…erm…fancy! 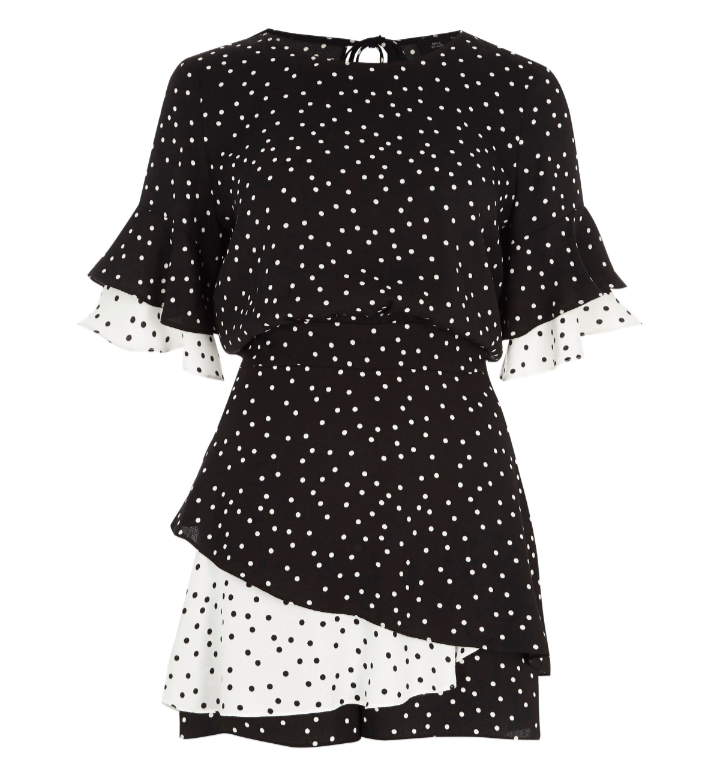 Monochrome dotty-strewn yumminess in playsuit form with the cutest cut is en pointe for this current weather, when paired with thick opaque tights, a yummy thick fluffy cardi and either ankle or over the knee boots. Come summer? Rip over those tights and pair with colour pop heels and statement earrings. Hola senorita – you look more sizzling than the dancing lady emoji! 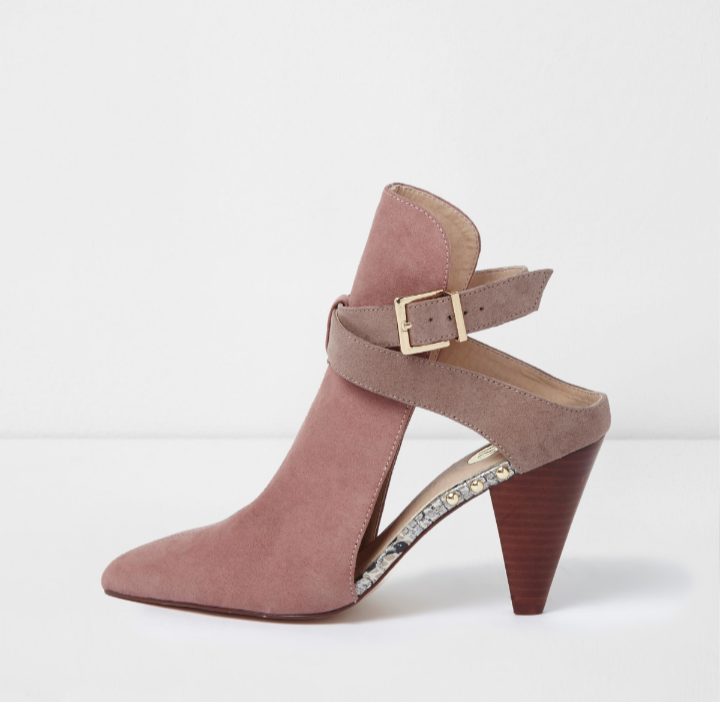 In our opinion, River Island has one of the best footwear collections on the high street! Their range Shoes & Boots delivers a luxe, designer feel at a price that means you can splurge without having to starve all month if you do! With so much choice, we just HAD to add both of these beauties to our lush list. 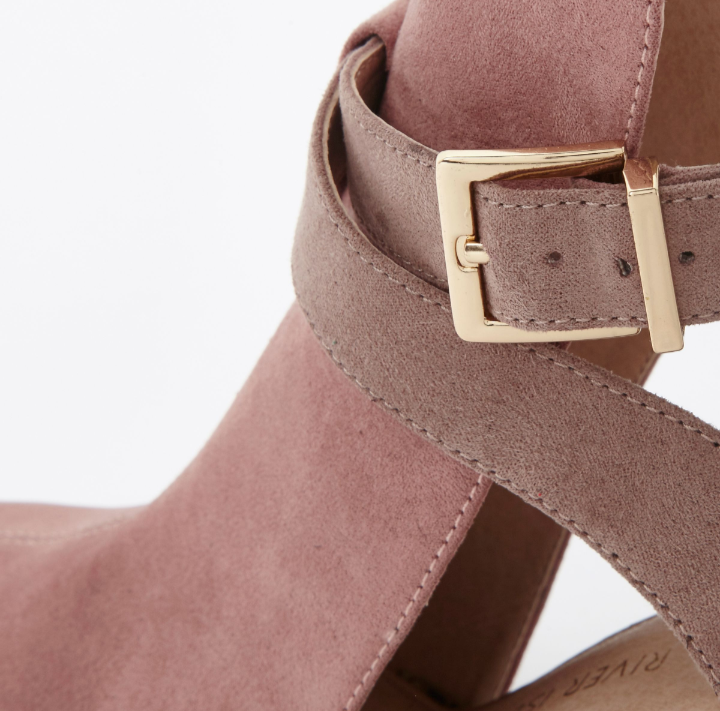 These pink pointed mule strappy shoe boots with snake skin trim and gold studwork are a fashionista’s dream. Styled up with frayed hem, ankle grazer jeans and a slogan tee or jumper, they are sure to get people staring with shoe-based lust. Whilst the devil is in the detail with these black stud embellished cone heels sandals. They certainly deserve a night on town, paired with your sassiest LBD or partnered up with skintight leather trousers! The easiest way to make yourself heard this coming season is with a much loved statement embellished piece. Whether it’s on a t-shirt or jumper, you’re talking serious style! Our top picks to nail this trend? Well they have to be these two little slogan splashed sweeties. 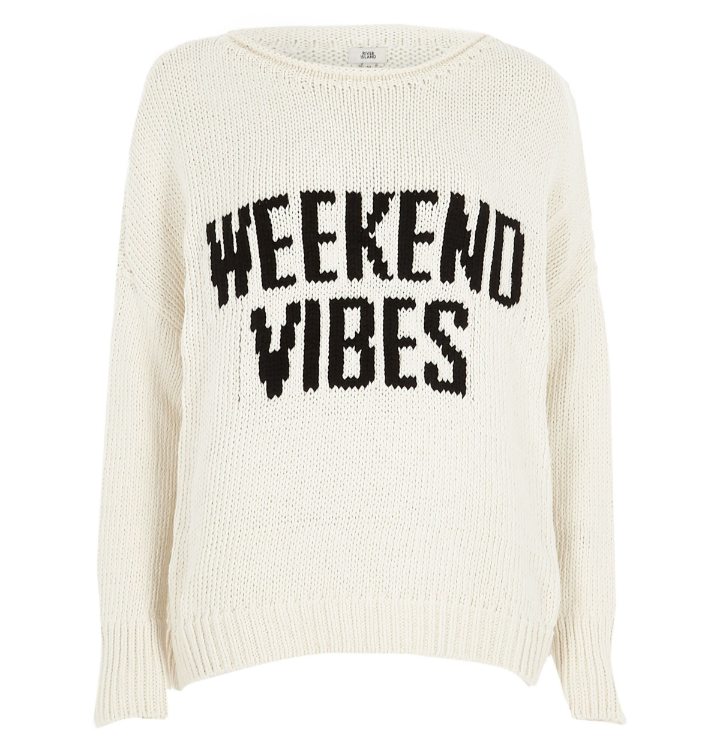 For those lazy, cosy days this cream “Weekend Vibes” jumper is a hug in clothing form. 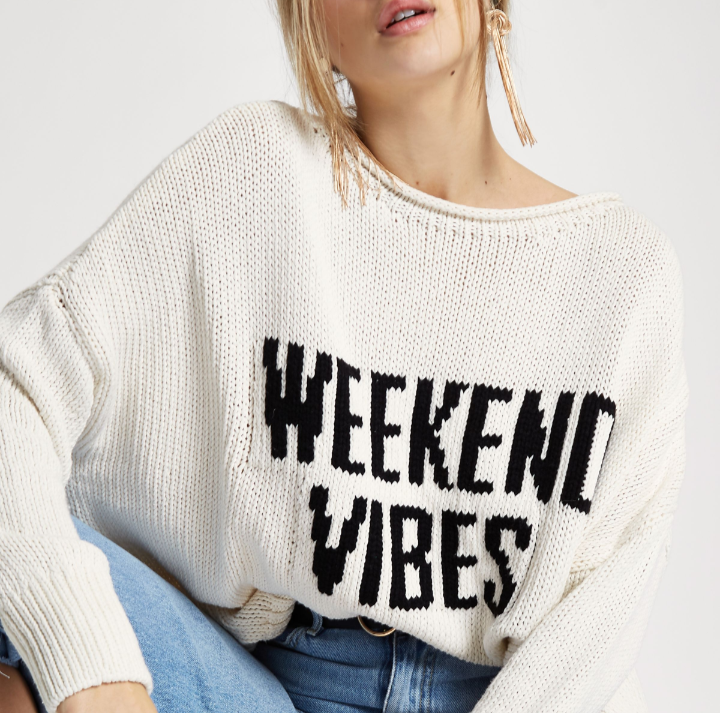 Thrown over your fave Mom jeans, topped off with your messiest “I slept with my hair in this bun” top knot, this top pick is also a wearable “do not disturb” whilst digging into your avocado on toast during brunch. The morning after the night before has never looked so chic! 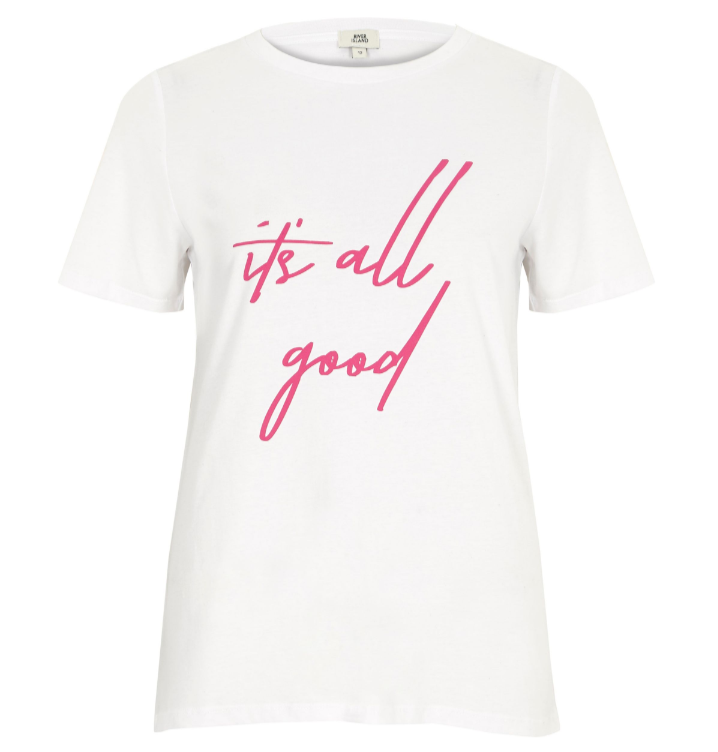 Follow the jumper-based weekend vibes joy, with this perfect Monday mantra t-shirt! Because, fillies, no matter what – it IS all good. 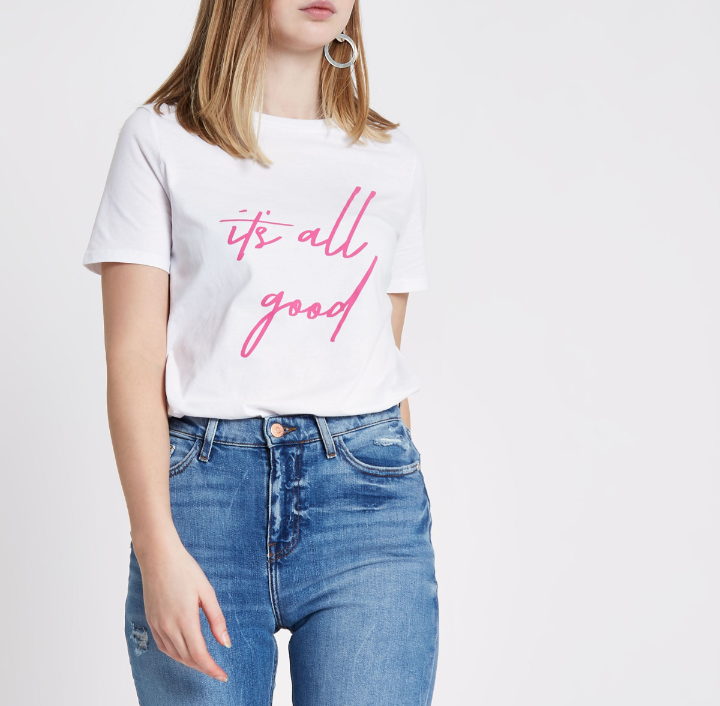 Whether you decide to get it tucked in check paperbag top trousers with comfy Stan Smiths or sass it up by styling with a colour popping vinyl skirt and your highest ankle boots – you are owning the week in style in this white “It’s All Good tee! It is part of our style resolution to try out new things and high on the list is to up our skirt-based ante. And with River Island’s plethora of design and detail focused pieces, these two choices were a no-brainer to add to the lust list. 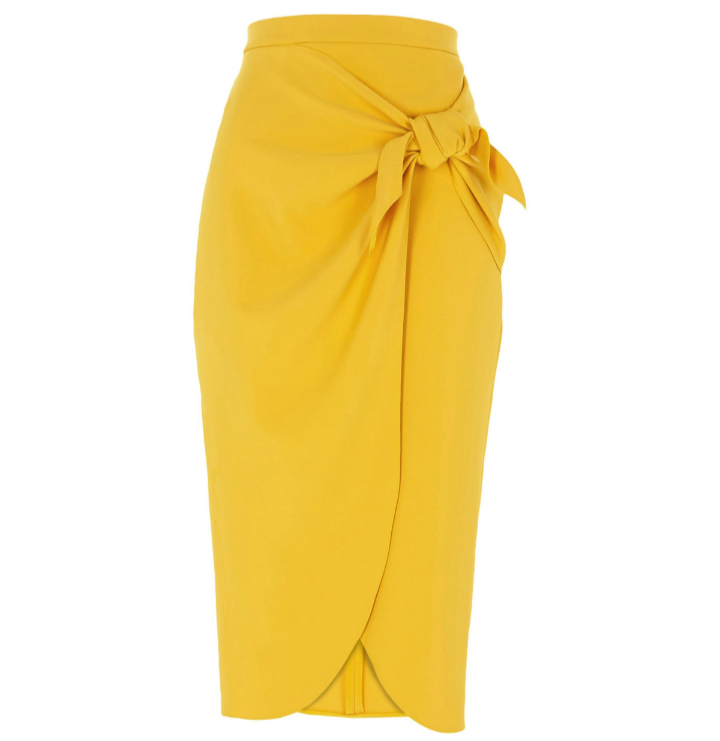 We love a shot of colour and this mustard yellow tie front pencil skirt is just the injection we need this season! The flattering tie detail is oh so feminine, adding focus to the waistline. Show off the detail by adding a tucked in tee or cute cropped jumper. If you are after toughening up your look this season however, look no further than this fierce blacker than black faux leather paperbag pencil skirt. With its sassy midlength, you can show off your strappiest heels before slinging on your perma-fave vintage rock tee. Yes queen – you’ve nailed “I’m with the band” style! Everyone knows that no outfit is complete with the most gorgeous of accessories to add a final flourish! And the new season selection at River Island are works of art. When it comes to great armcandy, the brand have it in the bag (pun intended…you may groan)! With cheeky winks to their high fashion counterparts, their bags give you all the wow factor with enough money left over for chips at the end of a night. 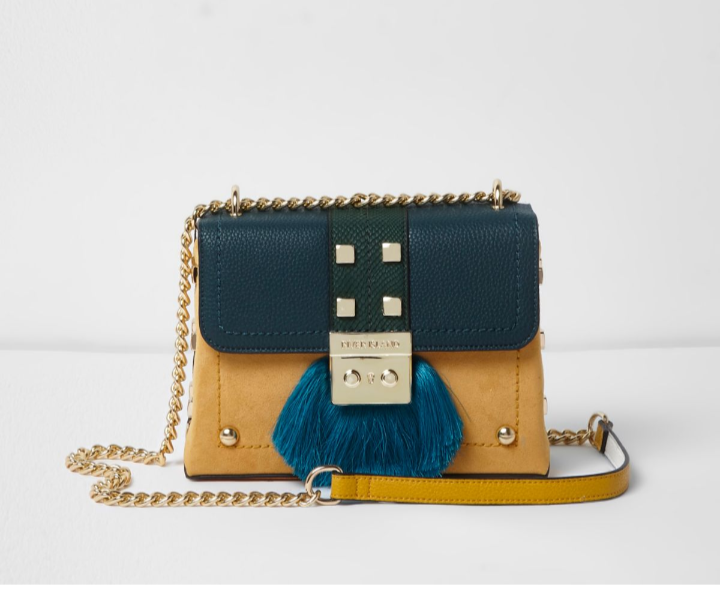 This particular pretty is giving us major designer feels with its glorious colour combo, gold hardware and can we talk about that tassel? We’d shoulder this green fringe lock small cross body chain bag bad boi with the sharpest of cheque trouser suits for ultimate girl boss vibes. You go fillies! And just how covetable are these bejewelled beauties? We are like magpies over these shiny stunners! 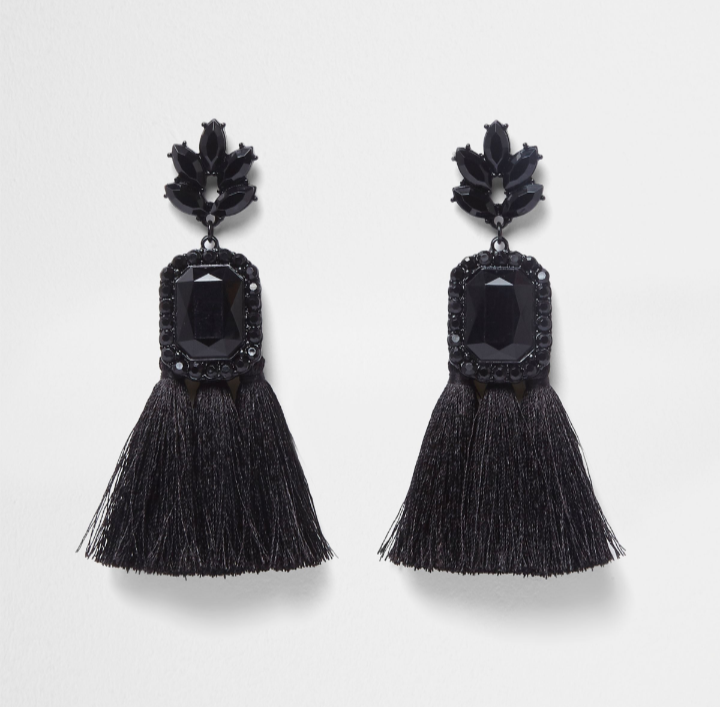 The ultimate outfit finisher, these black rectangle jewel tassel earrings add chicness, texture and interest to even the simplest of outfits. 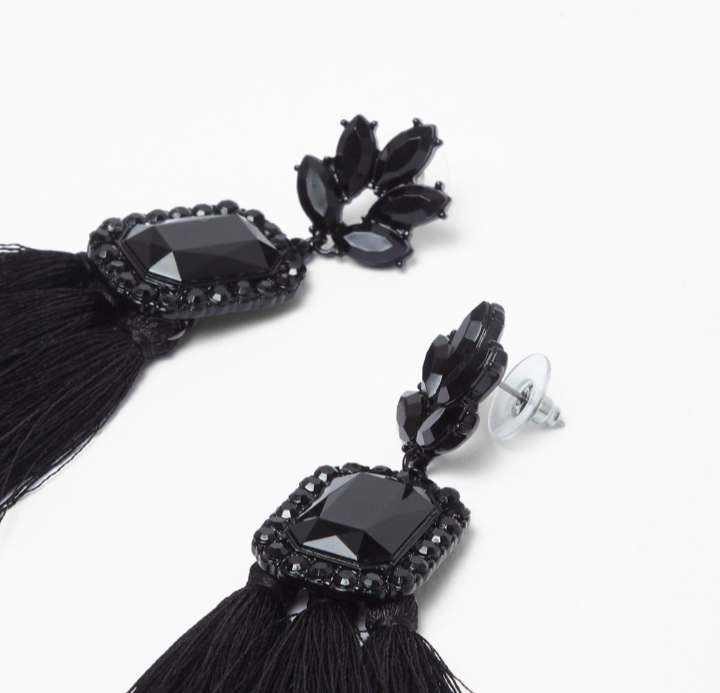 Black is always the new black…and it comes in earring form! 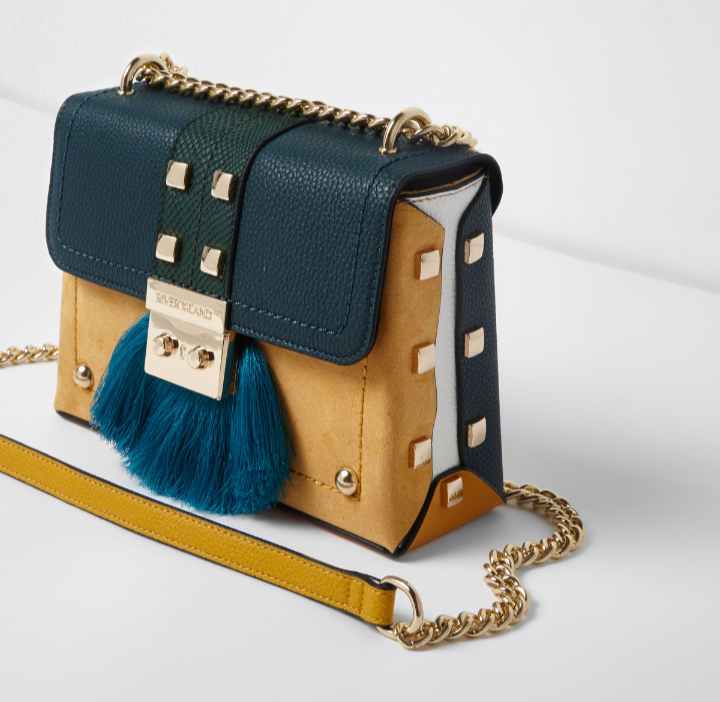 The new season is looking GOOD at River Island and we can’t wait to be crossing off the purchases on our lust list! What are you adding to yours? If you after any more fashion inspo, why not check out all our other lust lists and OOTD’s on our fashion tab here. P.S. Want more FDJ LDN-ness in your life? You can get your fix on tap by subscribing to our mailing list! Just click the “Subscribe” button at the top right of the page and you’ll get our posts as soon as they go live! You can also follow us on Bloglovin’ if you like. And be sure to check us out on social media! Follow us on Twitter, Instagram and Facebook.